The next version of Apple’s mobile operating system, iOS 5.1, has completed its testing and development period, according to Chronic Wire. ChronicWire reported earlier today that iOS version 5.1 successfully reached ‘Gold Master’ status, which is the version that is ultimately released to the public. iOS 5 completed several quality control tests before reaching said status. 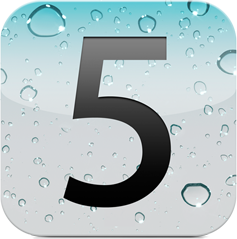 With the third generation iPad expected to be announced at the Apple media event tomorrow, an upcoming official release of iOS 5.1 seems appropriate. Historically, Apple has not released a new device which requires an immediate software update. Few analysts would be surprised if the iPad 3 comes with the latest version of iOS preinstalled.